By far, the favorite space in any residence for epoxy flooring is the garage. For this part of the house, California Custom Coatings has many, many satisfied customers in the Sacramento area. They have all experienced our superior customer service, quality materials and superb technique. 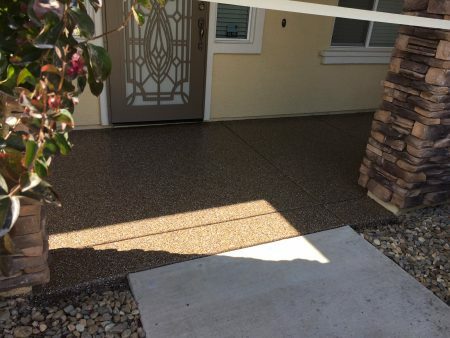 Basically, anywhere you have a concrete floor that needs a durable, decorative covering, California Custom Coatings can help. We do not limit our service to larger projects. Whether you have a multi-car garage or a small space with a large vision for improvement, we are happy to visit your home promptly and provide you with an honest, competitive quote. To see the quality of our residential work, visit our Gallery of images and check out the many glowing testimonials from our past clients. California Custom Coatings – providing residential epoxy flooring for all homes and any size of concrete surface. needs. I will definitely use them again in the future and highly recommend them.